Here is Downlink parameters of DD Direct Plus DTH service in MPEG-4 and DVB-S2 quality on GSAT15 at 93.5º East. If you are not getting some channels then you can rescan your DD Direct Plus set-top box with given below frequencies. This can be tune your MEPG-4 set-top box only but you can not access TV channels due to iCAS encryption in DD Freedish. 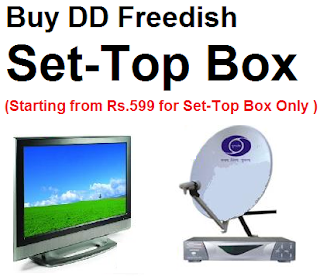 Very soon DD Freedish launching iCAS enabled set-top box in market. These boxes will be available in market by December 2017.